What are the problems that I would notice if my intake manifold gasket is going bad? One of the most likely things you would notice right off the bat is that your check engine light is illuminated. You will also likely have oil and/or coolant leaks. Your vehicle will also have reduced gas mileage as well. Your Ford Taurus may also experience a few more concerning issues such as stalling or your engine will perform unpredictably. What kind of OBD codes would I see if my intake manifold gasket is faulty? How do you replace this intake manifold gasket anyway? I don’t get how you get it out of my Ford Taurus. Your intake manifold has to be removed into order to replace your gasket. It sounds easier than it actually is, however. It is, usually, an involved process that includes draining the engine of oil and coolant. You will have to remove many components of the engine. There are vehicles, however, that have plastic intake manifolds. If they are plastic then they, generally, do not have coolant passages or oil passages. This is significant because they are easier and much faster to remove and replace/reinstall. How soon do I need to look at my intake manifold gaskets as something I need to get replaced or repaired? We cannot tell you when you should begin looking at this part because these parts do not have certain wear down points or mileage points where this becomes a problem. The intake manifold is made to last for the service life of the vehicle. However, it is often replaced when you get engine work. How do you figure out if my manifold gasket is having problems if it is stuck behind all this stuff? Interestingly enough, a smoke machine is usually the machine of choice that allows a technician or mechanic to figure out what the problem is with the vehicle. The internal pressure will push any of the smoke out of the leaking areas which means that intake gasket if it has problems, will have smoke coming out of it. I can still drive my 2003 Ford Taurus if I have a problem with my intake manifold, right? You should not drive if you suspect you have this problem. 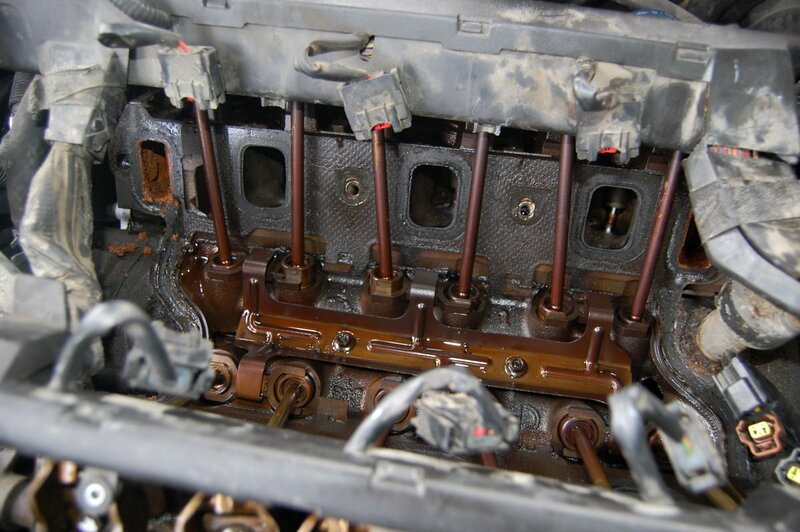 An intake manifold gasket problem that is ignored can cause a lot of damage to your engine. You should have it towed so that you do not risk another repair that will be much larger in scale and cost. What is an intake manifold gasket. I know I’ve heard of it but I’m not a car person. 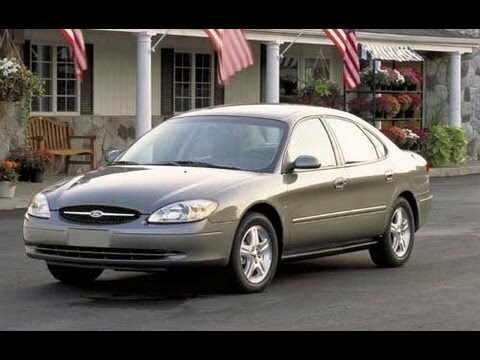 I know I should be because I own one, this Ford Taurus, but I really have no idea what this thing is at all. Could you tell me? The intake manifold gasket in a 2003 Ford Taurus or any other vehicle has the job of sealing the cylinder head and the intake manifold. That sounds important. What is it usually made of? The intake manifold gasket is sometimes made of rubber. However, there are some that are also made of paper. How does the intake manifold gasket do what it is supposed to do? The intake manifold has the job of distributing air and, at times, fuel. The throttle body will open and the engine intake stroke will bring in the air. It does this by using the intake manifold. If the vehicle does not use a direct injection system then it may also use this process as well. However, this has become less common as time has gone by. A vacuum will build up inside the intake manifold. The manifold gasket will protect the system from any air that is not necessary for what it needs to do.